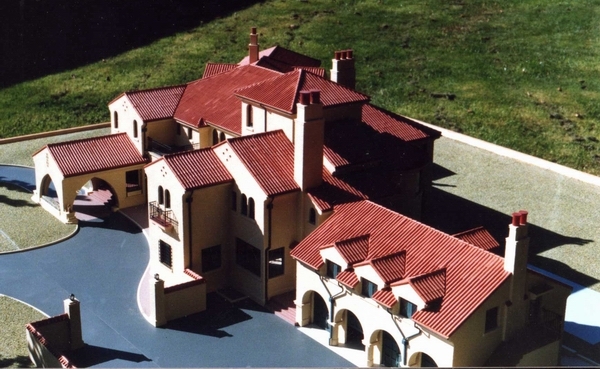 When we were commissioned to build this model in the late 80's, the owner of the mansion was a Mr. & Mrs. Bruce Branch. They were contemplating a complete rework of the back garden and pool area and wanted a model for the planning. I understood it was to be a Japanese garden. 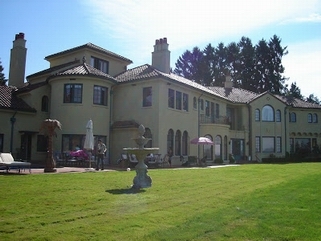 We had to photograph all the exterior of the building and grounds, and worked from plans supplied by the owner. 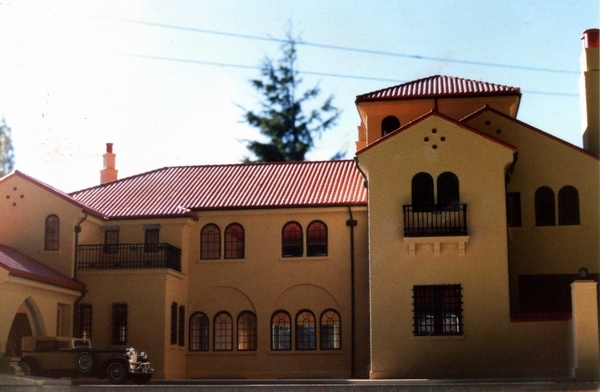 At the time we were not too familiar with the history, only that it was originally built by George C. Reifel, and there was a nursery in the home that had the walls hand painted by a Walt Disney Artist. There were quite a few movies filmed there over the years, "Platoon - with Charlie Sheen" was one . There were others later, but I understood damage sustained while filming, led to restrictions being put on the level of use allowed. 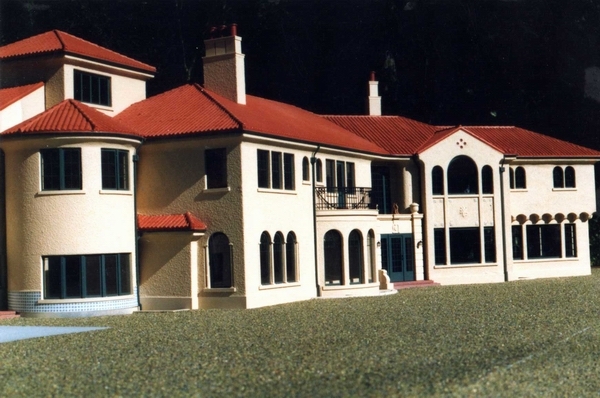 We saw very little of the interior, except for the entrance hall, and when we delivered the finished model, we carried it up to a room I believe was on the second floor, which had been prepared to receive the model. 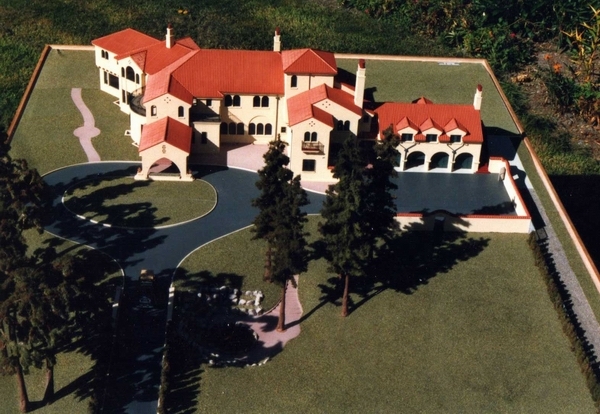 The Casa-Mia Mansion project, was one that any model builder would have loved to do. Mr. Bruce Branch and I crossed paths again, quite a bit later, on a New Westminster, waterfront project. 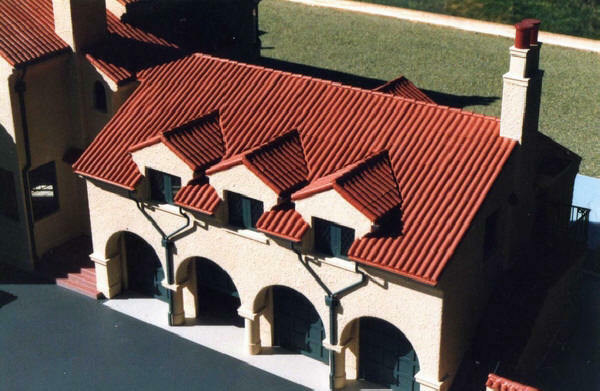 He was one of the principles, on that development, and I'm sure the reason our company, was awarded the contract, to build the "Westminster Pier Project" display model. 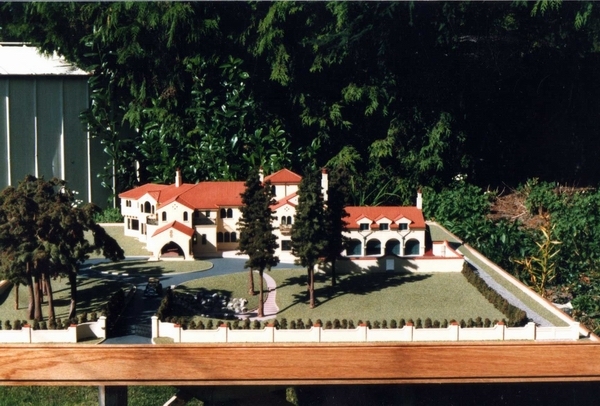 This, and all the pictures that follow, were taken of the 3/8" scale model, in the garden, at the back of our workshops. Model car is a Solido town car. Garden shed and the daises are a dead giveaway, but still, I think it was a very realistic model, with trees custom made, as usual, by my Brother Bob. 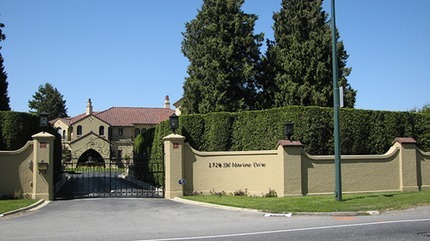 The Mansion's Future: There was talk about turning the mansion into a retirement home, and I believe major structural changes were being planned also. It's difficult to imagine that such a beautiful structure with such a great history could end up this way. 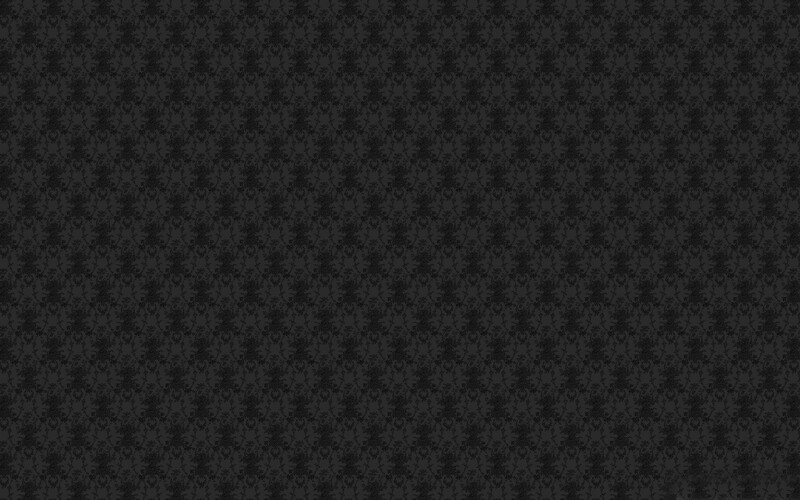 At least that's my own personal thoughts, I have no idea of the reasoning behind this consideration. I would have thought there were enough very wealthy people around Vancouver, to purchase the property as a single family dwelling, and protect it with heritage status, for this beautiful Mansion.